It’s official, you can now play Pokémon Go using your Apple Watch so your iPhone can stay safely tucked away in your pocket. Most of the time at least. The idea is to use the Apple Watch for its fitness assistant purpose while playing the game. As such that means you’re able to track distance walked as you log each session as a workout. The distance will be shown as how far until you can hatch a Pokémon Egg and receive Candy with your buddy Pokémon. Notifications also play a major part of the experience. On the Watch you can be notified about nearby Pokémon as well as receive notifications about PokéStops nearby - you can even collect items right there from on the Watch. Of course Eggs hatching and medals being awarded are also notifications right there on your wrist. The only major thing you won’t be able to do, at launch at least, is to actually catch Pokémon. You’ll need to fish out your phone for that part, as usual. But all the other offerings should help keep the phone away more, saving battery while playing the game on the move. 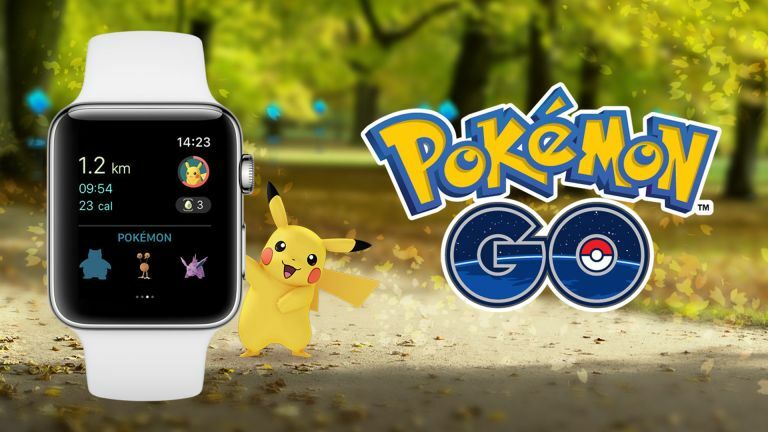 The Pokémon Go Apple Watch update is available now - just in time to go catch yourself a Santa Hat Pikachu then.